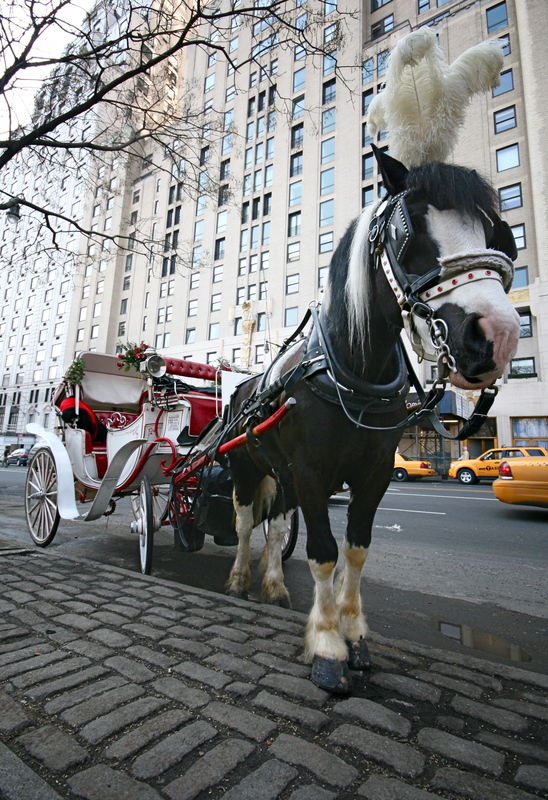 New York City recently passed a controversial bill to raise the fares for horse-drawn carriage rides. Passed amidst heated arguments from both sides, the rate hike is the first the city has seen in 20 years and will also serve to improve conditions for the horses. The rate was increased from $34 for the first half hour to $50 for the first 20 minutes. The bill also creates a provision for horse health. They must be boarded in stalls big enough to turn around and lie down in as well as vacation time. In addition, there is an age restriction on horses eligible to pull carriages; between 5 and 26 years of age. In a time when the unemployment rate is sky high and tourism is down, many disagreed with the changes. Dissenters wondered how the bill would be enforced. The American Society of the Prevention of Cruelty to Animals (ASPCA), the main sponsor of the bill, insisted that the community would help enforcement. It is a “fair balance between having regulations that protect the horses that are part of this industry, but keeps an industry that supports 300 families,” said Christine Quinn, ASPCA spokesperson. Opposition was so fierce, Quinn was heckled and called a “liar” as she made her case for the bill. At last count, there are 293 licensed drivers and 68 licensed carriages in New York City. Animal rights activists have longed called for a complete ban on carriages, and the passing of the bill is their lone victory in a long campaign for change.